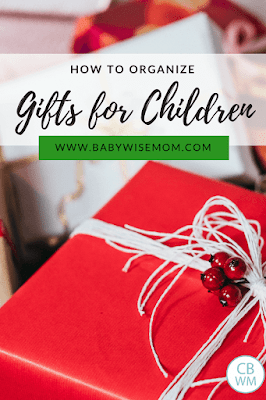 How To Organize Gifts for Children. How to choose what to get for your child in a meaningful, methodical, and budget-friendly way. I have come to realize over the years that I love giving gifts. Let me be more specific. I love giving meaningful gifts. I love thinking of gifts that will be of use, worth, and value to the person I am giving it to. I am not the type to grab any old random thing to give to someone. I put a lot of time and thought into the gifts I choose. 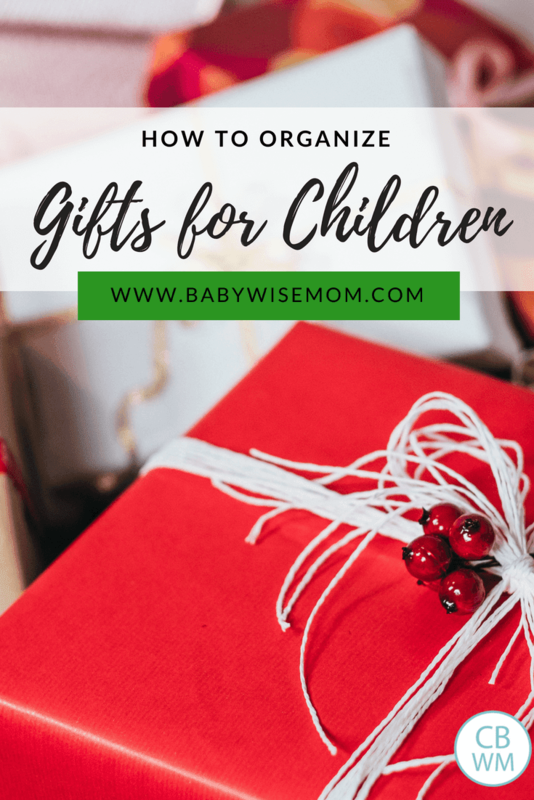 When it comes to giving gifts to children, it can be very overwhelming. Very. When I sit back and think about it, I am always amazed at the sheer number of choices in toys there are out there. There are so many toys you can get! How do you possibly figure out where to spend your money. Many years ago, I wrote a post on How I Choose Gifts. 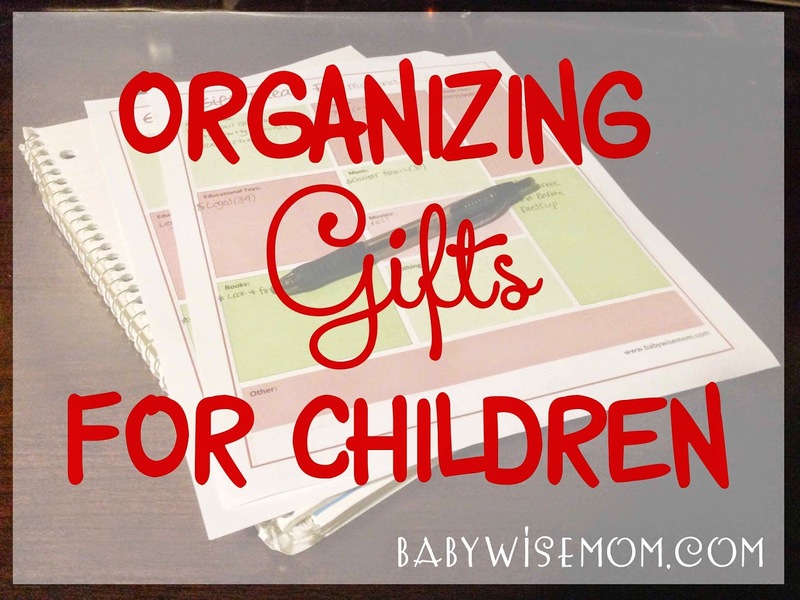 I wanted to build on that information today with the specific process I use to organize the gifts we get for our kids. I love, love, super love my Amazon Wish List (affiliate link) . If you don’t have an Amazon Wish List, go set one up and try it out. You go to Amazon.com, log in, and click on the Wish List menu on the right side of the page. I have a wish list for each person I get gifts for. You can make them public or private. On the wish list, I add anything and everything I think the child or person might possibly like. I add it all. This is my first spot to gather my brainstormed ideas. If I know, for example, that Brayden would love a Lego set for Christmas, I peruse the Lego sets and add any I think he will like to his wish list. You could also create a wish list on Pinterest. You could create a private board and add gift ideas on it. I do have a private board on Pinterest as well for things not sold on Amazon that I think would make good gifts. 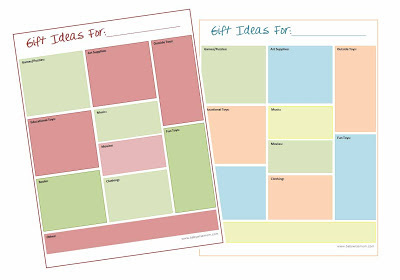 A few years ago, I made a gift organizer printable (free) to organize my ideas. I sit down with Amazon and my paper. I then write down my favorite ideas from my wish list onto the organizer. The organizer has categories, so I put the item in its respective category. This is still a brainstorming list. It isn’t final. This step narrows down from Amazon and is more selective than my Amazon list. I also write down the price next to each item. Some people do a budget. Some people do a certain number of gifts. I do in between. I have a budget for each child and I rarely go over that budget. I also have a number of gifts I shoot for per child. I do this so that I don’t feel like I must use the budget all the way up. When you have a baby or toddler, it is harder to fill that budget up than it is with a preteen. I don’t want to buy things for the sake of buying things. This way, if my gift list for Brinley is at 50% of her budget but 100% of the nymbers, I don’t feel like I need to buy more things. Keeping it to a certain number also makes it so I hone in and pick the best of the best when I get to narrowing down. There are so many options out there as I mentioned earlier. We don’t need everything there is. Having a certain number makes it so I really am intentional in which gifts I choose. An idea a lot of people like is getting gifts along these lines: “Something you asked for, something you need. Something you want and something to read.” You could change up the catchy saying to fit categories you want to fulfill. 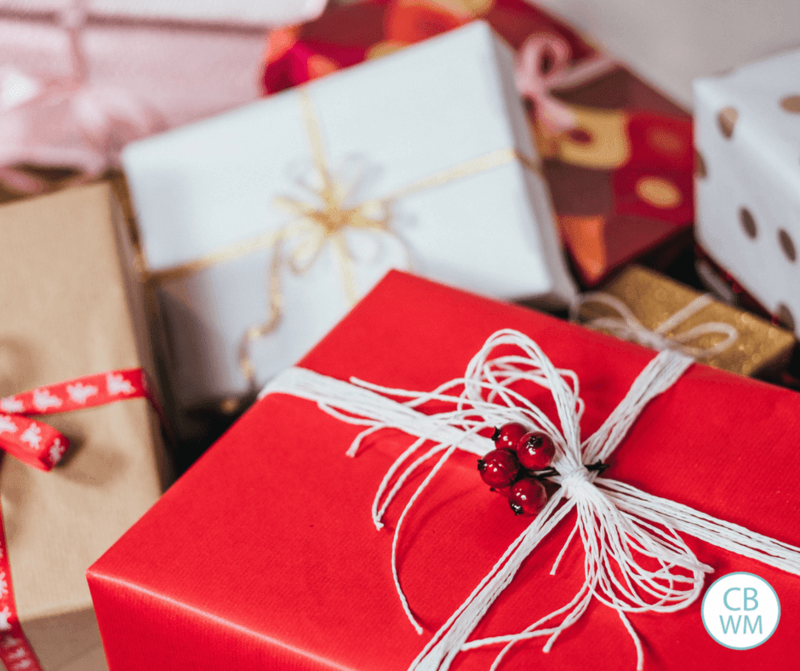 Now that I have my list of favorite ideas and I know my boundaries, I start to select the gifts I want to give at the holiday. I like to choose gifts from various categories. I like to get a variety of types of toys. So I will pick my favorite item from the list of games, for example. Then I move on to another category and pick my favorite item from that list. When I choose toys, I like to choose toys that are of high quality. Cheap toys break quickly and end up in the garbage. I would rather own fewer high quality toys than tons of cheap toys. Also remember, you don’t need to go overboard. Your child doesn’t need every cool toy out there. Also remember that you will be getting stuff every Christmas and birthday (and perhaps more) until your child moves out. Stuff takes space. The more stuff you buy, the less space you have, and the more cluttered things get and the harder it is to clean. Last year, I decided to get an app to organize Christmas gifts. I loved it! I got the Better Christmas List app. I can’t remember if it costs money or not. It doesn’t rate the best of all of the apps out there, so you might want to look at the other apps and see which one might appeal to you. I really like it, though. Something I love about it is that it is password protected, so no one can snoop! With this app, I input the final decision list of gifts I want to get. I can organize them by person and input the cost of each item. It then takes me through the steps of buying the gifts, wrapping the gifts, and shipping if necessary. If you don’t do apps, you could do the same thing with the good old fashioned pen and paper. That is it! These are the steps I take to make the gifts meaningful, purposeful, and to prevent them from overtaking our home. Do you have any tips you love? Brahms lullaby is my favorite.